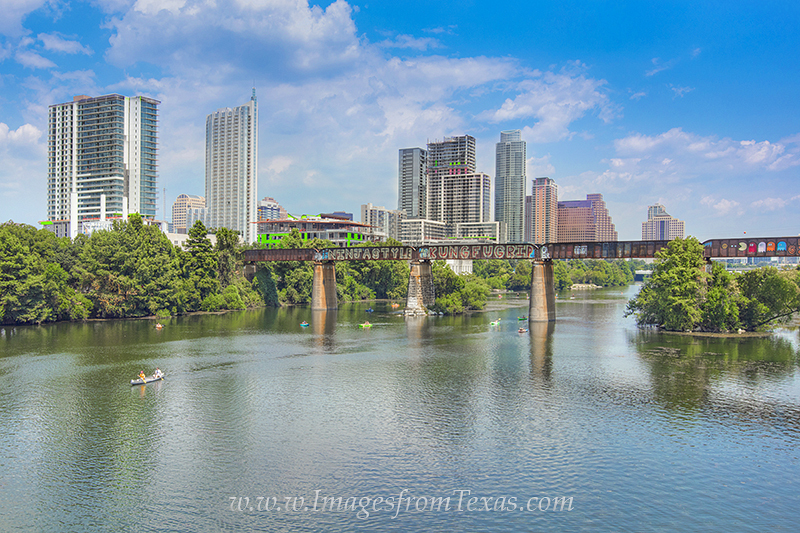 From the Pedestrian Bridge that crosses Lady Bird Lake, this is downtown Austin, Texas, on a hot August afternoon. In the distance, the skyline rises into the humid air while kayakers and paddleboarders enjoy the cool water below. Photo © copyright by Rob Greebon.